I’ve been back in the US for a little over three months. This astonishes me. Time seems to be moving so much faster this fall than last, though that’s probably just a perspective thing or a busy-ness thing or a “I live in a place that’s more familiar and therefore, relatively less difficult” thing. I’m finally getting into a rhythm/schedule. I’m finally finding time to see friends on a more regular basis and not just a “I’m back from Russia! Let’s get coffee!” visit. Finally getting a handle on workload and learning how to grade student essays more efficiently and how to abandon work at 8 pm…or sometimes earlier. I’m finally starting to write again more regularly. Finally starting to make sense of the last year and a half of my life, what I’ve learned, what Russia means to me. I have not, however, found time yet to make an eye doctor’s appointment, wash my new car before winter sets in, or fully unpack my apartment–winter break? What I want to write about, though, is finally making it back to Lawrence for a reading. The things above will likely take a few more weeks (months? years?) of reflection to come together. While I was in Moscow, my chapbook Attachment Theory was released, so I never got to have an “official” release reading/celebration. Finally, after three months back, I got around to doing that. The Raven (which became my favorite bookstore almost as soon as I moved to Lawrence, not just for its selection and atmosphere but also for the way it support local writers), agreed to host. 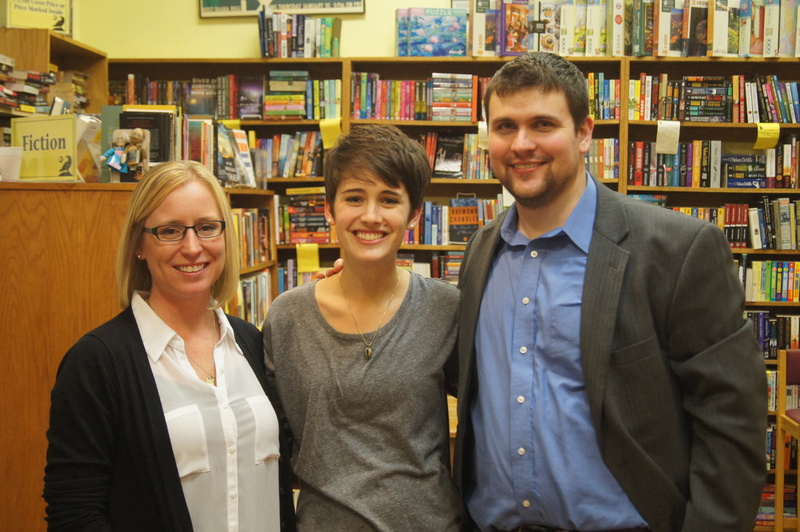 I invited fellow writers (more importantly friends) Ben Pfeiffer and Mary Stone Dockery to read with me. I saw no better way to introduce my chapbook and celebrate my “return to America” than with them. I don’t have a lot to say about this reading except that it felt great. I was so happy to be in Lawrence. I was so happy to read with Mary and Ben and to look out and see an audience full of friends. 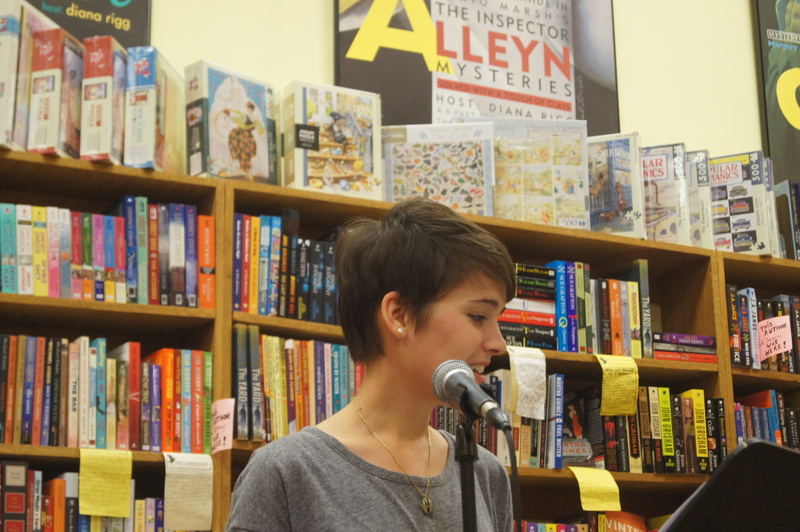 When I stepped up to the mic, I realized that I was less nervous than I’ve ever been for a reading. It’s likely I gained some confidence living abroad for a year; Russia requires a bit more directness, a harder shell than the Midwest. But it seems more likely that when I looked into the audience, I realized that with the exception of a few folks, everyone was a friend…friends sitting there, glad I went but glad I’m back, smiling, waiting to hear poems and stories about Moscow.